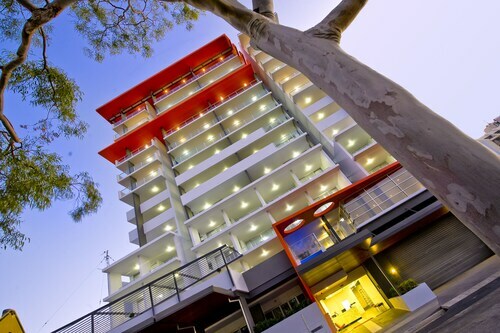 Located in the heart of Rockhampton, this luxury apartment building is within a 5-minute walk of Pilbeam Theatre and Rockhampton Art Gallery. Rockhampton Hospital and Northside Plaza Medical Centre are also within 2 mi (3 km). North Rockhampton Station is 18 minutes by foot and Rockhampton Station is 28 minutes. 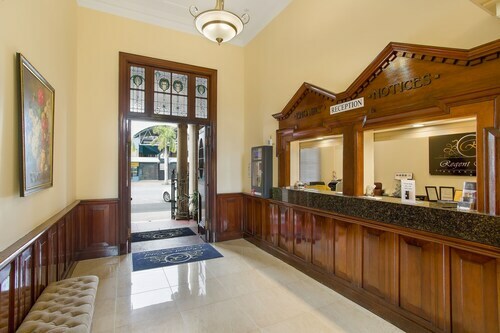 Located in the heart of Rockhampton, this luxury hotel is within a 15-minute walk of Pilbeam Theatre, Archer Park Station & Steam Train Museum, and Nissan Navara Arena. Rockhampton Art Gallery and Rockhampton Showgrounds are also within 2 mi (3 km). Rockhampton Station is 20 minutes by foot and North Rockhampton Station is 22 minutes. 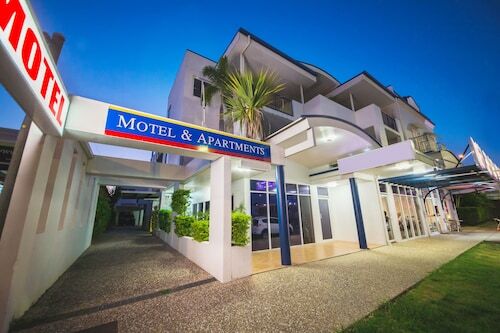 Located in the heart of Rockhampton, this luxury aparthotel is steps from Pilbeam Theatre and Rockhampton Art Gallery. Archer Park Station & Steam Train Museum and Rockhampton Showgrounds are also within 1 mi (2 km). North Rockhampton Station is 22 minutes by foot. 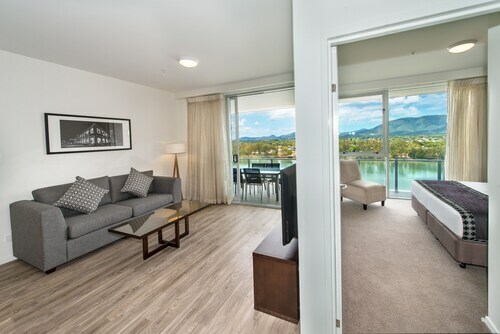 Situated on the riverwalk, this luxury apartment building is within a 5-minute walk of Pilbeam Theatre and Rockhampton Art Gallery. Archer Park Station & Steam Train Museum and Nissan Navara Arena are also within 1 mi (2 km). 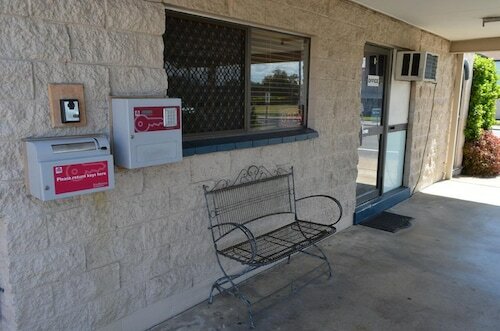 North Rockhampton Station is 20 minutes by foot and Rockhampton Station is 30 minutes. 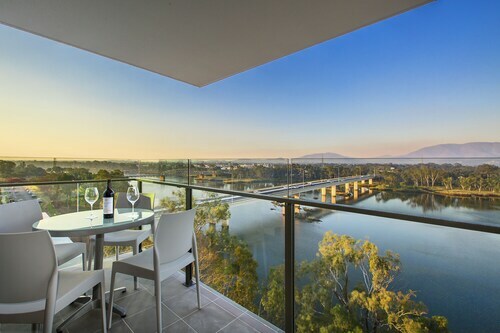 Escape to Rockhampton, Queensland’s gateway to the Capricorn Coast and the outback. The city is famous for its position on the Tropic of Capricorn and its renown as the Beef Capital of Australia. Choose from our range of Rockhampton hotels to start your adventure in this beautiful coastal region teeming with natural attractions. Established in 1858, Rockhampton was originally discovered by Charles and William Archer, Queensland settlers who were looking for grazing land for their livestock. This history has come a long way in establishing Rockhampton as the Beef Capital of Australia. Visitors to the region can discover aspects of the town that reflect its beefy nature, such as the six bull statues representing the main breeds of the area located throughout the city, or the Gracemere Saleyards, the largest stud-selling venue in the Southern Hemisphere. Of course, a juicy steak is a must, with prime cuts of grass- or grain-fed cattle readily available for you to feast on. Pair turf with surf and try seafood caught off the nearby Capricorn Coast, such as mud crabs, prawns and barramundi. Beef isn’t all Rockhampton is known for, with its Botanic Gardens regarded as one of the best in Australia. A tropical paradise filled with exotic plants, gorgeous flower arrangements and stunning water features, the Gardens have captured imaginations since 1869. Why not bring a picnic or go for a relaxing stroll? Rockhampton’s zoo is also located within the gardens and is home to over 50 species of animals, including such as koalas, crocodiles, dingoes and wombats. Get even closer to nature with a trip to Mount Archer National Park, just 20 minutes from the Rockhampton CBD. At 604 metres above sea level, the mountain is the highest in the area, and offers spectacular views of the city and surrounds. Slip on your walking shoes and explore one of the many trails for visitors of all fitness levels. Walk through deep valleys and dry rainforests, and keep an eye out for the glossy black cockatoo! Rockhampton proves especially popular in spring, with the annual Village Festival of Arts & Music taking place in August. The festival features a diverse range of music, live performances, visual arts, children’s activities and food and market stalls, making it a great family day out. Fans of jazz will want to attend Big River Jazz, an annual three-day program showcasing a variety of jazz bands from all around the country. Not here during spring? Catch a show at the Pilbeam Theatre, which hosts many national and international musicals, comedies and drama performances. 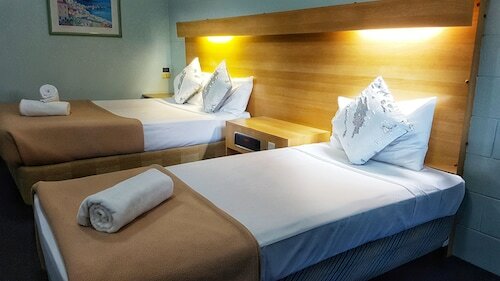 Getting to Rockhampton is as easy as catching one of our cheap flights, or if you’d like to take in the sights and sounds of Queensland, take an eight hour drive or train ride from Brisbane. No matter how you choose to get here, you’re sure to love Rockhampton and the experiences it has to offer. 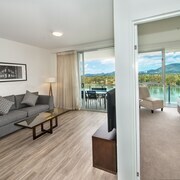 Book your Rockhampton accommodation today! Need insider tips on must-see attractions in Rockhampton? Check out our Rockhampton travel guide! 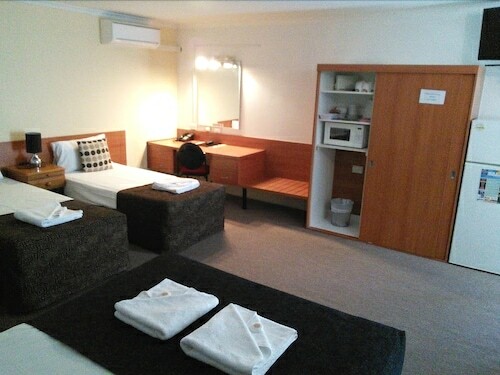 How Much is a Hotel Room in Rockhampton? 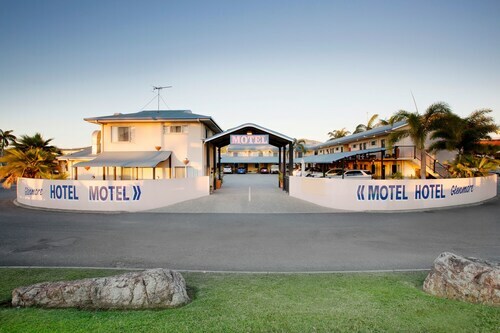 Hotels in Rockhampton start at AU$59 per night. Prices and availability subject to change. Additional terms may apply.